The Southern region of Germany has very special dishes to offer like the German Pasta Casserole. 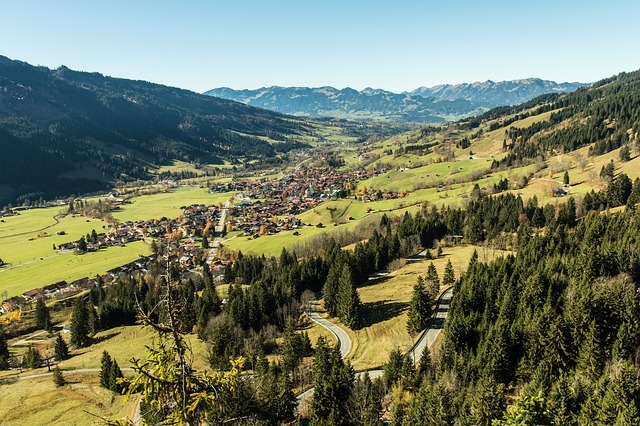 One beautiful region is the "Allgau" or Allgäu, as we say in German. The main city is Kempten and then there are valleys with little, beautiful looking villages, such as Hindelang (see landscape photo below). The pasta casserole is a very easy dish to make, and tastes the best when using German egg noodles or pasta. You can find them at Aldi, Big Lots, Cost plus or a special international supermarkets or on Amazon. Happy Cooking! - Cook the pasta in boiling water with some salt until it is "al dente", this means the pasta should not be too soft, there is some firmness. - Chop onions and garlic fine. - Heat butter in a pan, saute onions and garlic until onions are looking transparent. - Add ground meat, brown it on high heat briefly. - Spice and add tomato paste. - Add wine, bay leave and parsley. - Let simmer for 10 min and stir a couple of times. - Drain pasta and place into an oven proof bowl, place the meat on top (remove bay leave). 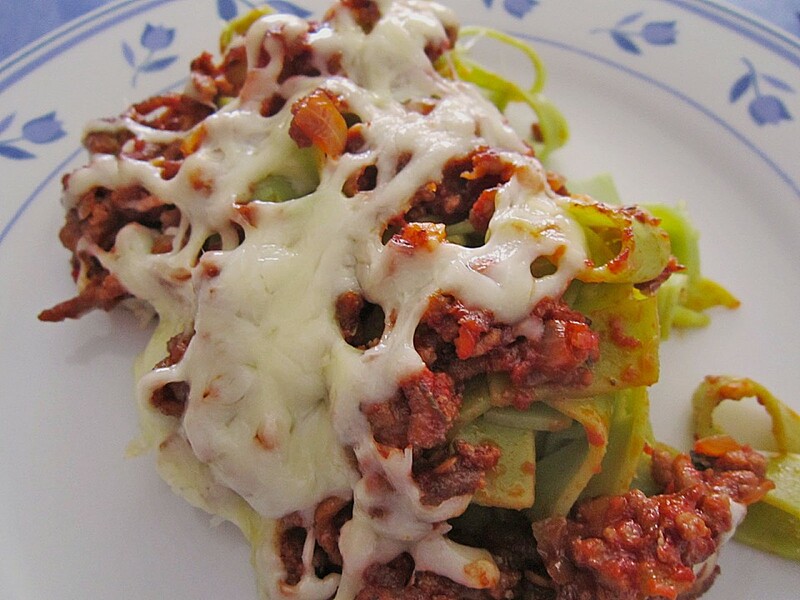 - Top with grated cheese and marjoram. - Bake on 380 F until the cheese is melting. Serve with salad such as lettuce or a spring mix.